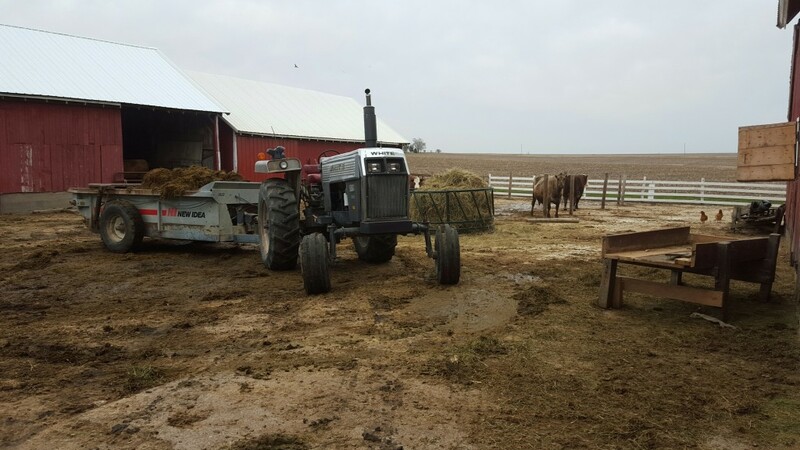 We’re supposed to get such a terrible storm tomorrow and with the weather still not too bad, Daryl decided to clean out the cow yard. Now Sunny is still hanging out with Sassy in the hay shed, but my guess is their days are going to be numbered and they’ll be put out with the rest of the herd. As for me? Well I had ordered some treasures for my soap (I know, I know.. soap, soap, soap!) but it’s kind of the world that I’m living in right now. I tried to order a little bit of all the designs they had for soap dishes and they were delivered today. Yay! Now I’m just trying not to keep about half of them for myself. And finally I had the best gift this week! 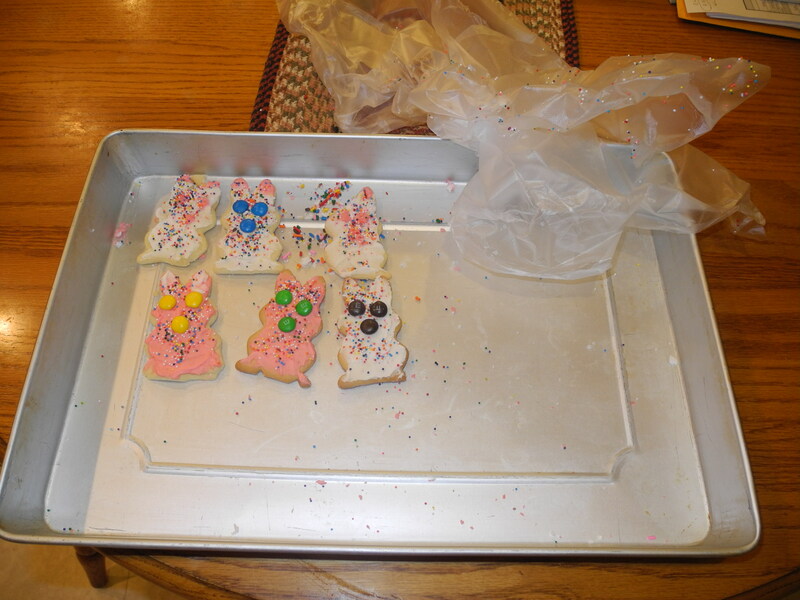 I asked Ma if she would make some Easter cutout cookies and of course she made TONS of them. I literally counted over 75 cookies in this pan! So I asked if I could freeze what was leftover after I sent some of the kids? She said they’ll keep for quite sometime in the freezer and it wouldn’t be a problem. 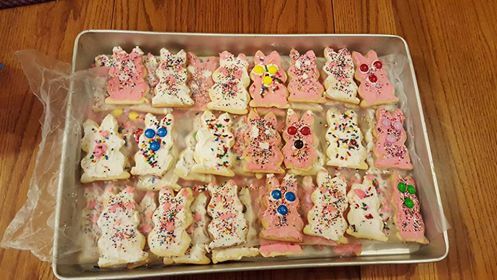 Now granted I sent a bunch to the kids and because Ma makes THE BEST cut out cookies – well I found out that there really isn’t too many to freeze after all! This entry was posted in Baking, Farming. Bookmark the permalink.